When Earth Day started in 1970, its founder, Wisconsin senator Gaylord Nelson, didn't realize it would turn into a national movement. In fact, it started as a "teach-in" to discuss environmental issues at universities across the country. Thousands of schools participated and 20 million Americans flooded the streets rallying in support of a healthier environment. Politicians took note; by the end of the year, the government had established the Environmental Protection Agency and strengthened the Clean Air Act. Today, Earth Day is the world’s most celebrated secular holiday, according to the Earth Day Network. 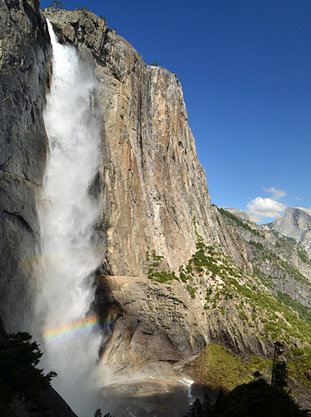 With 27 national parks and 63 state beaches, California is one of the best places to celebrate on April 22. Whether you want to trek a mountain or stay in the city, we've compiled our favorite ways to enjoy the great outdoors this weekend. When: April 23, 9 a.m. - 1 p.m. Details: Sign up to monitor and track tsunami debris at the base of Mt. Tam or improve coho salmon habitat on Muir Beach. 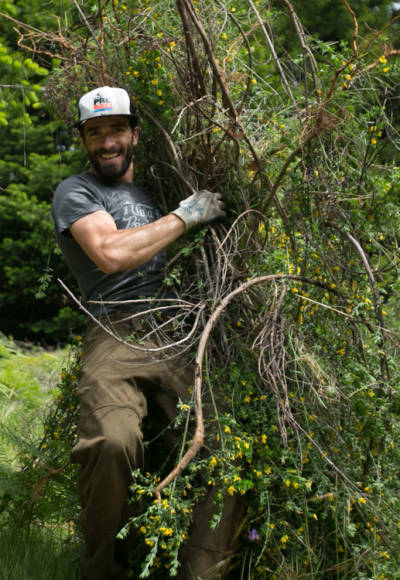 You can also plant and weed along Creekside Marsh or remove French Broom from the Canyon and Moore Trails before hiking amid the wildflowers in bloom. All activities are designed for kids and adults with online registration required before Saturday. When: April 23, 9:30 a.m. - 11 a.m. Details: The Earth is a dynamic place and geologically active areas like the Hayward Fault permeate the Bay Area. The Hayward Fault is 40 miles long and about 8 miles deep and has contributed to Fremont's natural beauty. 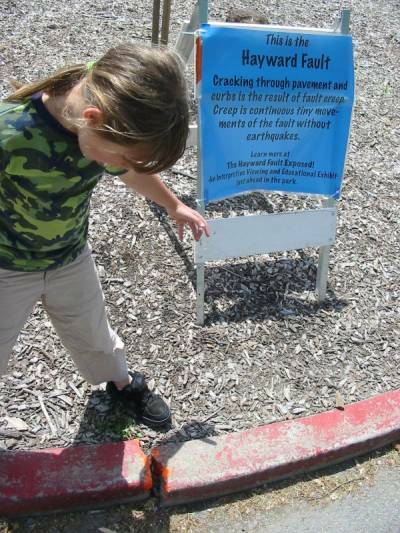 During a two-and-a-half-hour tour learn about the science of faults and their effects in both natural and urban environments. You'll even witness the floor of a building that shows evidence of the fault's movement. Registration is required and children under 14 must be accompanied by an adult. 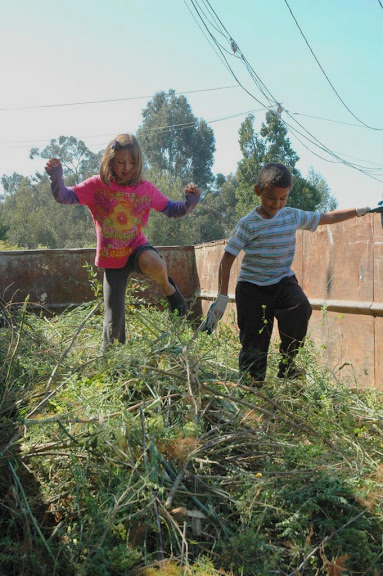 Details: Roll up your sleeves and get your hands dirty planting and weeding at Lake Merritt's sensory garden. Or remove litter, re-paint the street posts, trim trees and generally clean up West MacArthur Blvd from San Pablo to M.L.K. Jr. Way. With more than 85 outdoor opportunities to choose from, there are ample ways to give back during the city's largest community volunteer event. Details: It's the 100th anniversary of the National Park system and during National Park Week entrance to all national parks is free. Some parks, like Yosemite, are starting to open roads after a snowy winter so make sure to find out which trails are accessible. 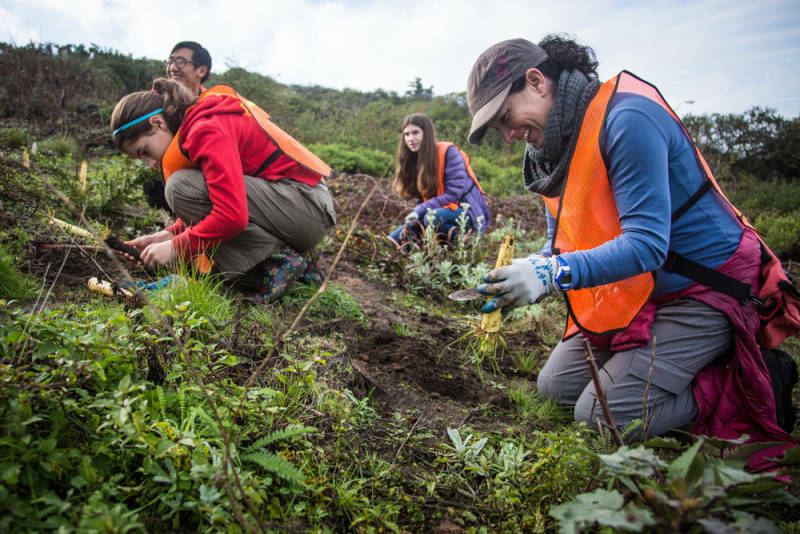 If you want to volunteer as a wilderness guide or help restore native habitat on Earth Day, check out all the National Park Service opportunities on Volunteer.gov. When: April 23, 10 a.m. - 7 p.m. Details: Sustainable food, ecofashion and interactive art will all be showcased during the annual street fair, which has now moved to the Mission district. 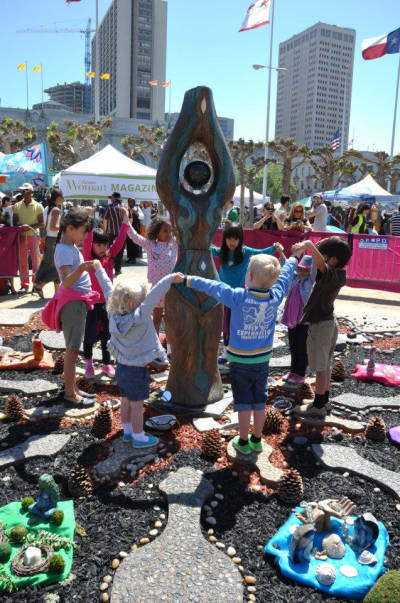 Participatory events include a congo drumming session with members of SF Carnaval and a 15-foot-tall canvas that attendees can color in with water based paints. You can also listen to live music from one of three stages while scoping out electric vehicles on display in the Green Transportation Zone. All activities are family friendly and some, like the bike-driven merry-go-round, are specifically designed for kids. Try to show up early as more than 1,000 people are expected to attend.